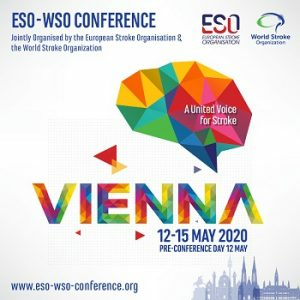 Please find below the promotional toolkit for ESO-WSO 2020, including the official Conference banners, presentation slides, flyers and other materials. We invite you to use the promotional materials to promote ESO-WSO 2020 within your network, social media platforms, lectures, and meetings. Invite your peers to join you in Vienna! Like us on Facebook, follow us on Twitter and join us on LinkedIn to get all news and updates about ESO-WSO 2020. Post a banner on your website, your event calendar, and use as your email signature.